Krosshólar, large crags. Landnámabók (“The Book of Settlements”) states that Auður djúpúðga had a cross raised there, where she went to pray. 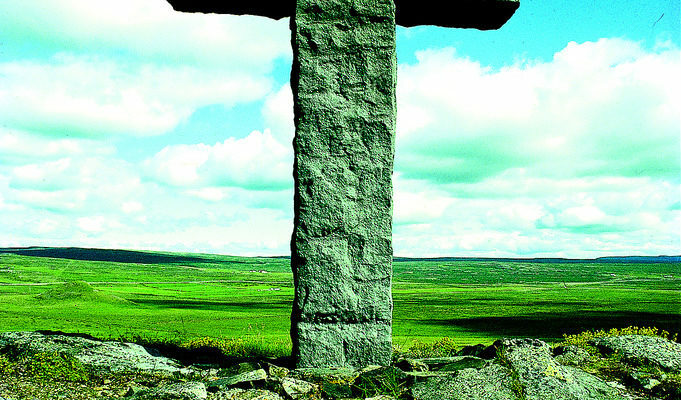 A stone cross was erected on the crags in 1965. Auður’s descendants considered Krosshólar a holy place. The remains of her first farm, Auðartóttir, nearby.